Pasing Tennis Club is a neighborhood Club on Munich's West side. We offer 6 outdoor clay courts and a restaurant, as well as changing rooms and showers. Our season runs from early April through early November. We are located next to football pitches, an ice rink as well as a large in- and outdoor swimming facility, all surrounded by parkland. As a club, we value the comfort of our members highly, whether they are young, old or in-between. Having about 340 members ranging in age from 5 to 91 years, our club fields eight adult and seven youth teams (in 2015), competing in the official Bavarian federation leagues. Especially our young ones have been quite successful in recent years. This has also attracted many new young members, meaning that well over 40% of our members are minors. We strive to continue to rejuvenate the club by passing knowledge of the game on to future generations, i.e through summer camps. 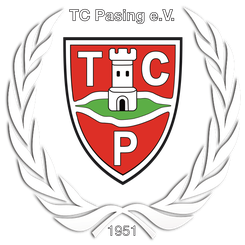 TC Pasing is a nonprofit club and has been in existence for over 60 years. It was founded by 11 Pasing tennis enthusiasts in 1951. For several years not we have a club partnership with Liphook Lawn & Tennis Club in Hampshire, England. We are open for further cooperation with other European countries to enlarge our tennis network. Please find here all relevant contacts.